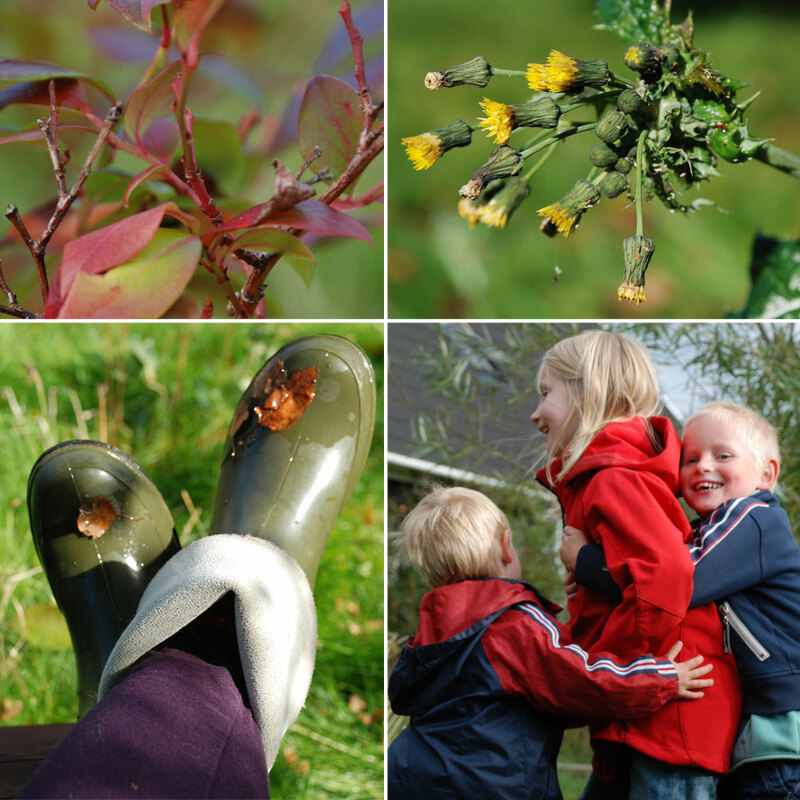 So much you can do in a garden. I adore my kids, and I’m thankful for their creative abilities, but sometimes it takes s little effort to truly appreciate the ideas they come up with. 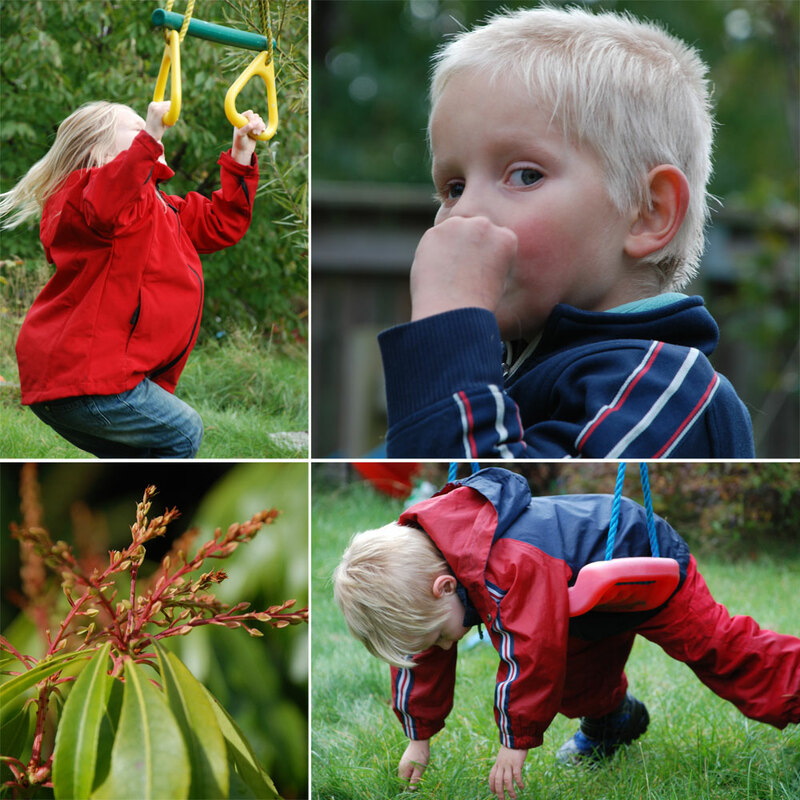 Week 42, the annual Autumn vacation in Denmark. I had my 3 kids home all week, and we have been so busy, playing, crafting, making food, that I haven’t had time to draw at all. 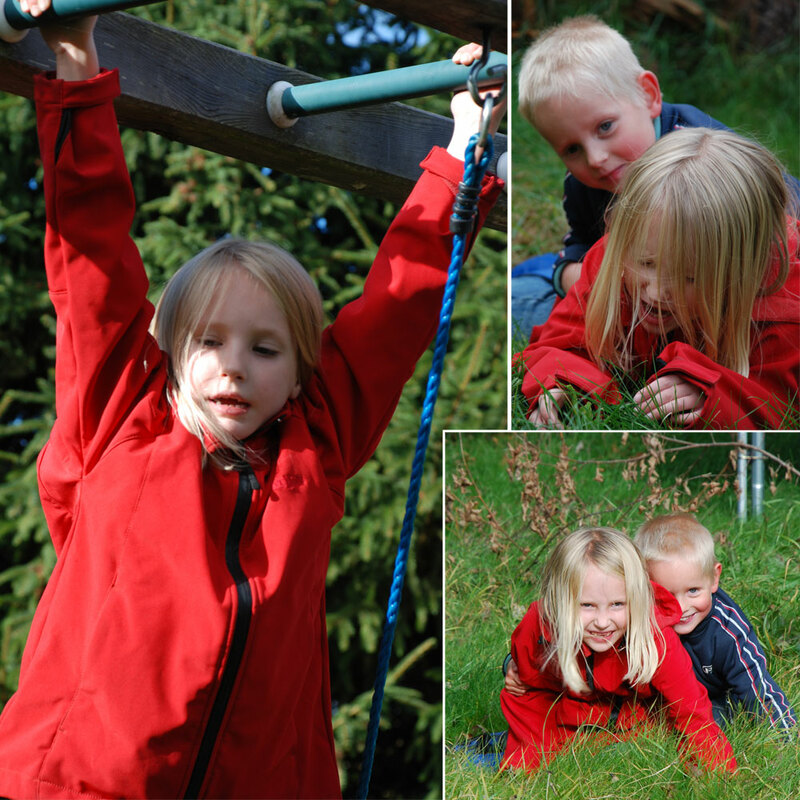 But it has been truly enjoyable to just relax and spend time with the kidlets. 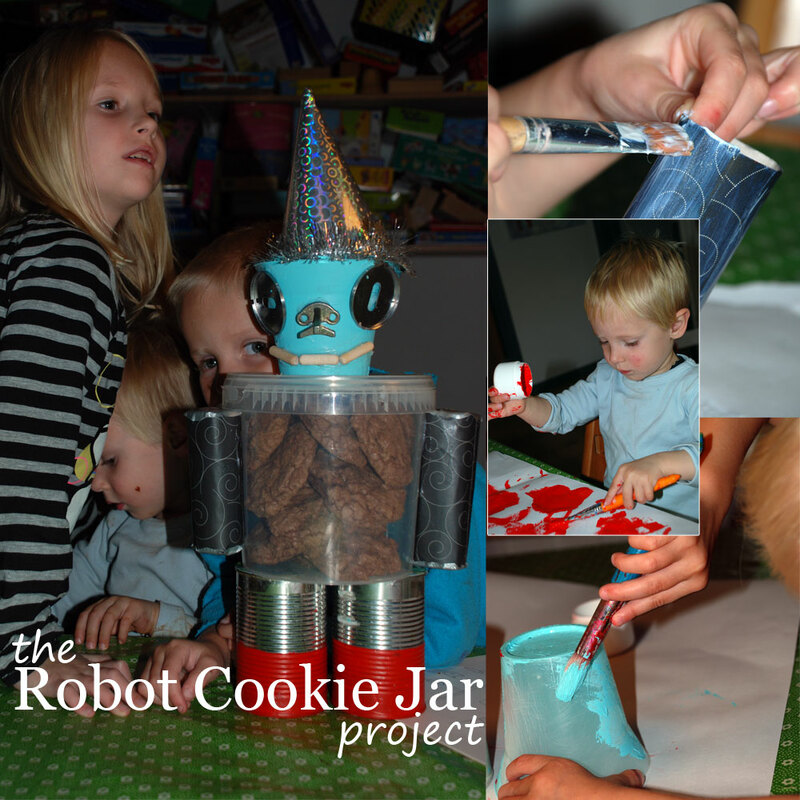 My oldest son, Gabriel wanted to make chocolate chocolate chip cookies, and myÂ daughterÂ wanted to do “something with glue and paint” – so we ended up making cookies, and a Robot cookie jar from recycled cans and various found objects. 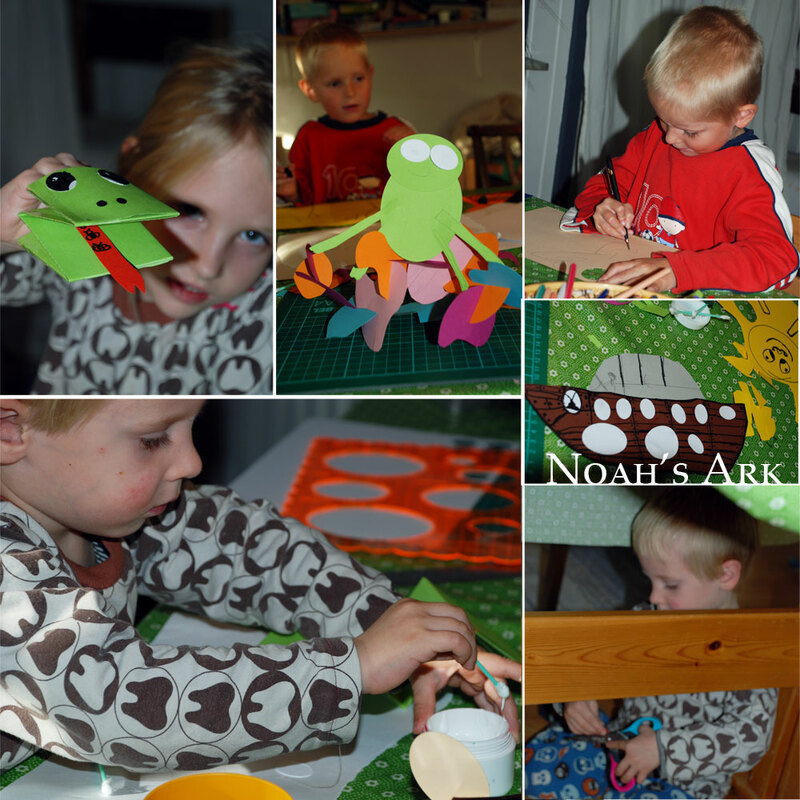 The kids wanted more glue, the boys wanted monsters, and Sidsel wanted to make Noah’s Ark. Gabriel wanted in on the Ark deal, so he decided to make two of every monster he made. After Sidsel had worked very hard for a very long time on making the Ark look like it was made out of wood, she added a more modern take at the top, because “It’s more fun when it’s fast” so she turned in into a speed-boat. I love the way my kids think. My youngest wasn’t allowed to use the scissors, so he climbed down under the table with a couple of his brothers creations, and sat there quietly cutting them up. 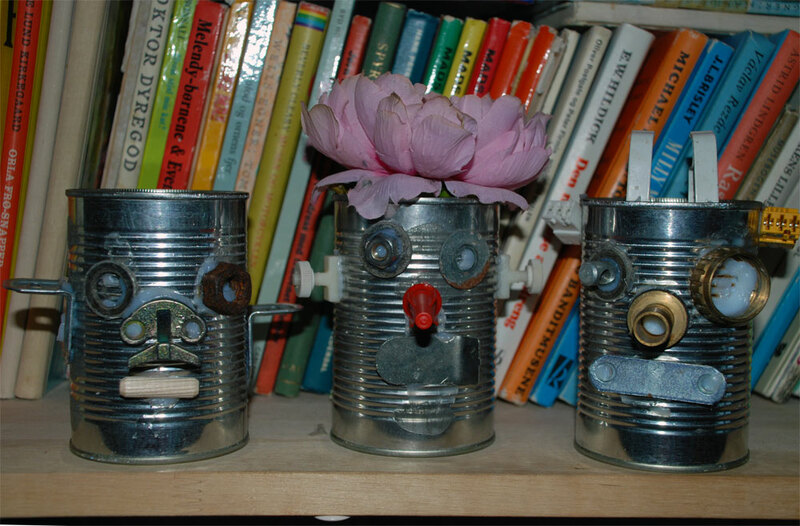 The morning was spend making robots out of used cans and found objects. 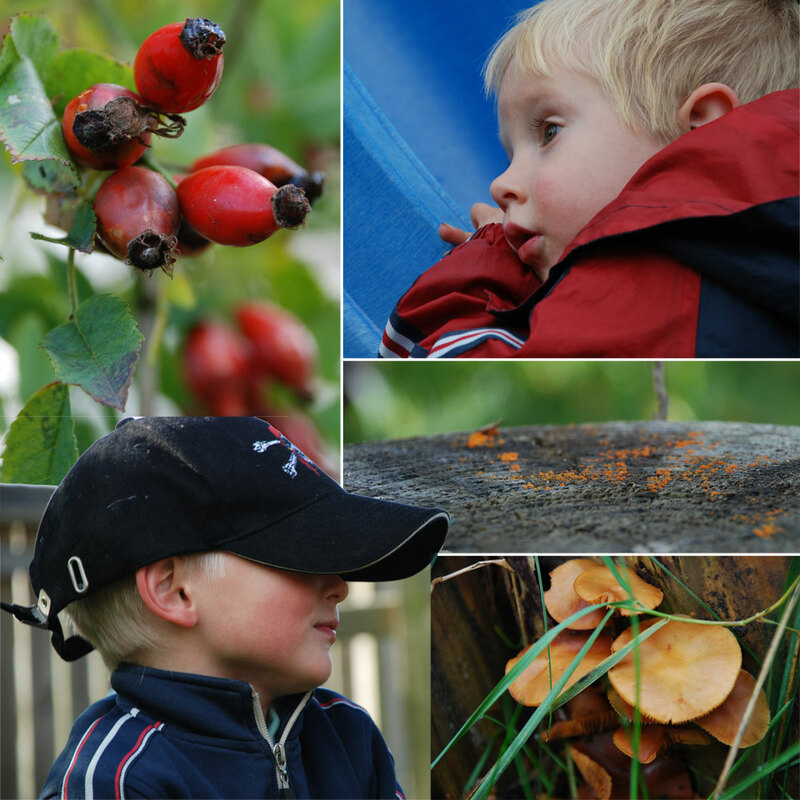 After lunch we went outside for a couple of hours an enjoyed the lovely autumn weather. Back inside we made some apple lemon cinnamon muffins, and ate them while watching Nightmare before Christmas for the 3rd time this week. 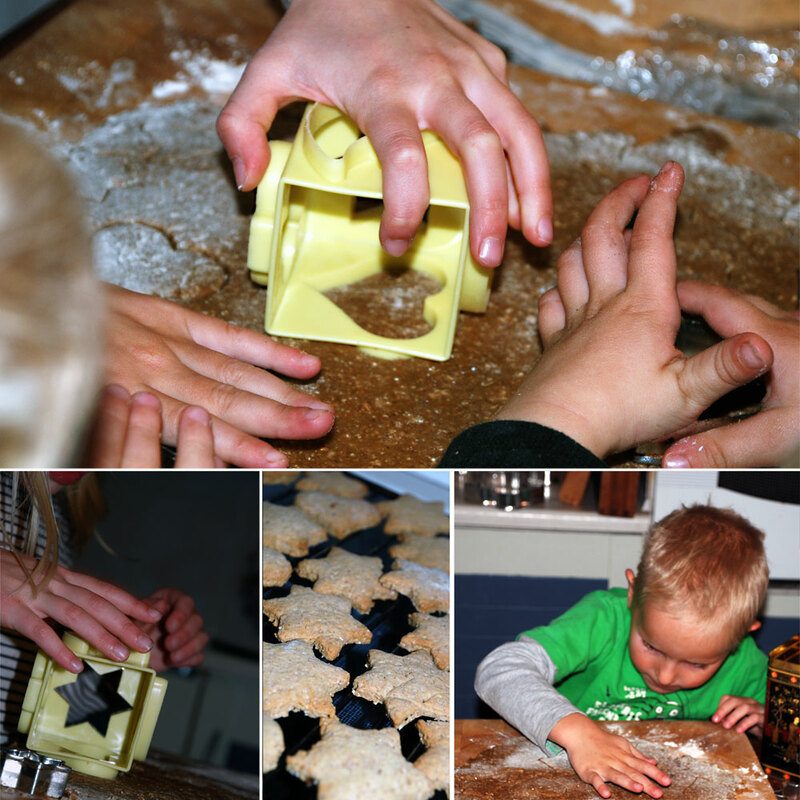 Back to making cookies, this time we tried making gingerbread cookies from aÂ recipe from my favorite food site 101 Cookbooks. Today was dedicated to all things spooky. We started out by making a haunted house, from some old boxes. 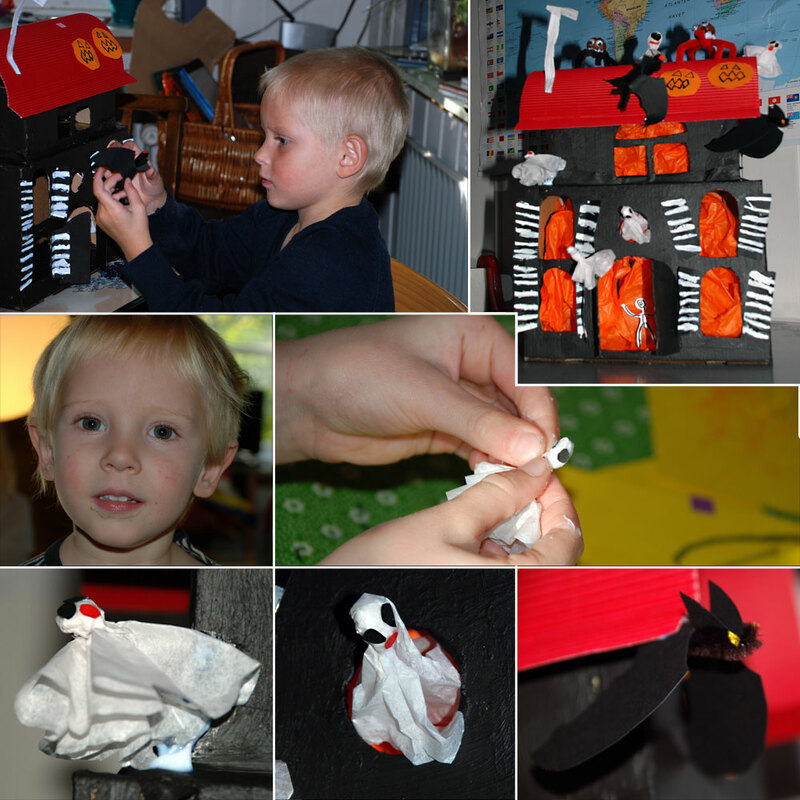 The boys painted it black, including everything around, above and below them, while Sidsel made spooky looking shutters. Then various monsters, ghosts, spiders, snakes and bats saw the light of day, and finally everything got glued together. Â The kids decided to watch Nightmare before Christmas …again… after lunch. Â After that, we baked bread, and while waiting for them to be eatable, the kids played with the haunted house. A greatÂ holiday, veryÂ exhausting, but we all had a great time. Did an Illustration of a girl painting – remembered to take photos as the illustration progressed. Painting 3, originally uploaded by MetteEâ™¥. Junk-A-Doodles, originally uploaded by MetteEâ™¥. 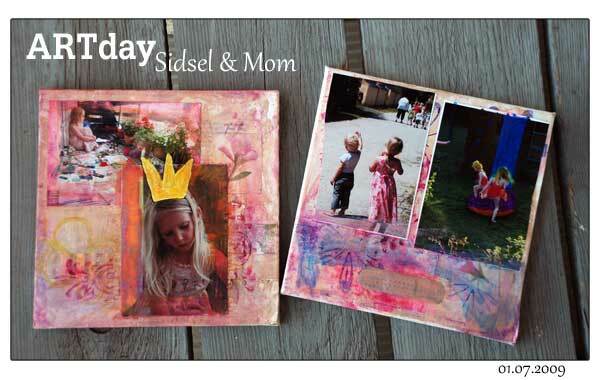 Spend Saturday morning making art with the kids. Gabriel did a Captain Hook, Sidsel and her friend did a sun, and Rumle & I made a flying dog….I think that’s what it is anyway. I am amazed who great it turned out, my kids really did surprise me…Gabriel took one look at the broken hanger and said “I am going to make Captain Hook”…and he did. A painting for my son Gabriel. The Jester part 4 -finished, originally uploaded by MetteEâ™¥. LoveBunnies, originally uploaded by MetteEâ™¥. Been needle felting like crazy the last couple of days. 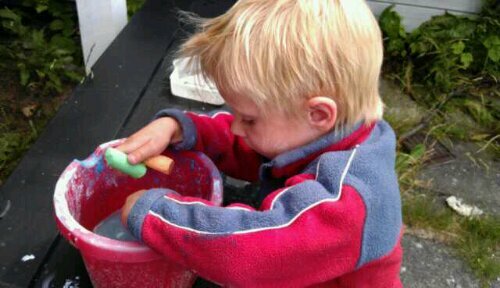 It is so much fun and relaxing and fairly easy, only drawback is I keep stabbing my fingers. So far I made a couple of lovebunnies, lovebugs, a house, a tree and a ring for my daughter. What a lovely way to spend a Saturday. Pirate dress for Sidsel, originally uploaded by MetteEâ™¥. Todays creative project – a pirate dress for my daughter. She is going to a pirate Bday party tomorrow and wanted a dress to go with the theme. 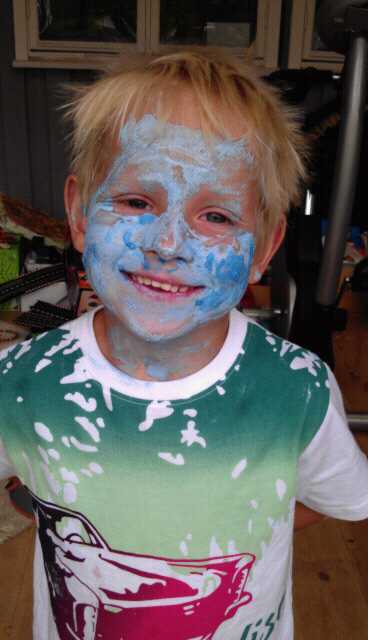 The result of our ARTday yesterday. I think it’s hard to tell who made which. We played along inspired by the Awsome Art Journal workshop from Willowing’s and the “Complete guide to altered imagagery” by Karen Michel and “Taking flight” by Kelly Rae Roberts. Sidsel invented a few techniques on her own, which actually can be found in the books mentioned above – I think she has a great future ahead. Spend the day with my lovely daughter making art. 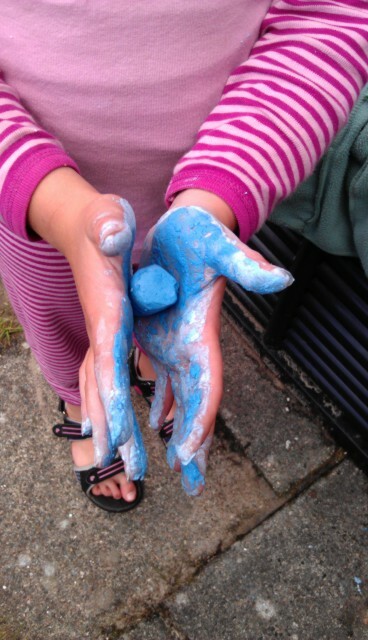 We glued, painted, rubbed, scratch, rolled, cut, drew and what not – it took all day and we had a lovely time.